parking on LONG LANE, which is the road running next to the park and course, is allowed, but only on the side where the houses are. PARK RUN has more runners than we have riders, and everyone manages to park then, so it will be possible. please don’t park on the PREMIER 5 football car park, they need this space for their customers and they have asked us politely. please don’t park on any grass areas as the council have worked hard to improve the park. when signing on take your bike with you, we have designed the signing on access to enable this to happen easily for you. go through the railing gates at the side of the sports centre to access signing on from the back door of the sports centre, next to the finishing straight of the running track. these will have modifications on previous years due to the high rainfall and complaints from residents about us damaging the grass. the starts and finishes are all in the same area, just North of the running track, to get there you must walk or cycle past the Premier 5 football building and continue on to the main large field. same region of the park as usual, and close to the main start area, and may be as last year if it’s not wet. youth and adult courses will be 90% the same as last year, but have a small alteration, aimed at keeping racing away from the houses across the road, and using the small banking that runs half the length of the main field. there are no rocks, slippery wood, glass or bricks on the courses, but some tame tree roots. 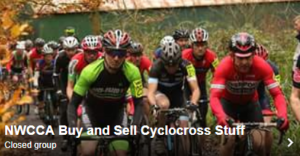 A lower entry fee applies to NWCCA League Members. volunteers will receive their information by email in the next two days.